About the author: my mother has been struggling with her weight for a long time, trying every possible miracle products. Recently in risk for diabetes, she decided to change her lifestyle (eating less sweet, walking more). No incredible weight loss but good long-run changes for a healthier life. I am very proud of her. Creating a diet plan is not difficult, all you need is a bit of common sense: eat healthy food, weigh your food, count your calories and train several hours a day. The problem? It simply doesn't work. And with so many people failing to lose weight on the long run, it is time to stop blaming them (how can so many people be wrong?) and start analyzing why those diets are wrong. Disclaimer: this article is NOT asking you to lose weight, simply helping you if you want to lose weight. Some of you are fine the way you are, don't let the media get to you with their "the slimmer, the better" motto. Warning: before starting a diet, consult your doctor or nutritionist. Most diets ask people to do things that even slim people don't do! Do you know any slim people weighing their food, counting their calories or even training several hours a day? How fair is it then to demand it from fat people? weigh his/her food? This person does not have time to cook and you think he/she will have the time to weigh the food? Which food, the burger at the fast food or the chocolate bar at work? ask him/her to count calories? This person knows she is eating too much calories. He/she does not need to count them to know it. Weighing food and counting calories will eventually make this person more and more hungry (less calories means either less food or food that this person likes less, which also leads to less food). Being hungry, feeling guilty about the food are the biggest risks of reaching for snacks, chocolate bars and other high calorie products when stressed (at work, etc...) or feeling sad (problems with boyfriend/girlfriend or husband/wife...). Finally, following such diets is like trying to eat 50% of what you were eating all of a sudden. How can that work? 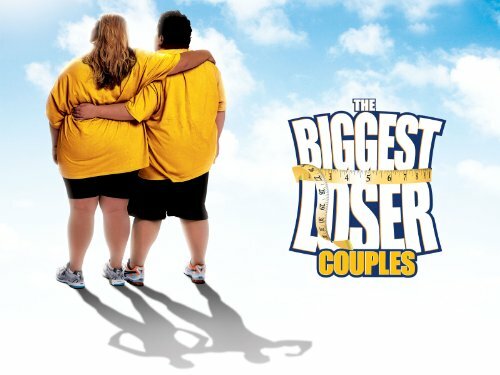 In the TV show "The Biggest Loser", it is interesting to see how surprised people are (both trainers and participants) when one participant does not lose weight after one week of hard training and eating healthy food. They are a bit naïve or may want to give the impression it is unheard of (despite the many seasons where it happened). Your body is the result of MANY things and you should not demand results from it at once. For example, training a lot will make you lose fat but you will gain muscles, so your weight may not go down as much as you expect it. Psychology is also having some influence on your body. So, focussing on results per day or even per week is NOT the way to go. Give your body time to show the results of your efforts. Thinking about starting a diet is already a mistake, since diets are temporary, short time programs. If you really want to lose weight in the long run, you need to think about changing your life, so that a NORMAL day outside any diets is one better for your health than what you are used to. Scary? No, it is not, because you don't need to change everything from day one to day two. Changing it little by little is fine and what has biggest chance of success. What is important is that you make changes that you can bare on an everyday basis, ie don't eat 50% less because this is for sure not something you can keep doing. Remember, you are the one to decide here. If you feel you can reduce to 70% directly, do it. If you are a challenge type of person it may work. But again, don't think about it as a diet. It is not a diet for the next 6 months. It is a life change. reduce soda. Some people have the feeling they cannot live without them. And yet, water is fine. If you find it boring, try it sparkling, with lemon or with orange. For other ideas, here is an excellent article about 10 alternatives to soda. walk more. Before going to bed, what about a small digestive walk? Use stairs instead of elevators when you can. Even small walks here and there can help. reduce sweet food. Use tomato sauce instead of ketchup, spicy sauce instead of barbecue sauce, use mustard, vinegar, pepper, etc... There are many ways to give your food more taste others than using sugar. Gastronomy food is not boring and it is tasty. And yet, it is not sweet. Instead of sweet products (ketchup, bbq sauce, etc...), use spices! Here an example with Magic Seasoning. The Honey one has about 5 calories per tsp but this is still 3 times less than normal ketchup. The other two are even better. If you often eat between meals, there is little point in counting calories or weighing your food. Snacks, chocolate bars, being hungry all the time between two meals are your worse enemies, both if you eat them (because of the calories) and when you don't (because of the temptations, the uncomfortable feeling, etc...). Eat more during meals, especially filling things like rice, pasta, bread, ... Eat more starters and main dishes and less desserts. Again those are proportions. Don't stop desserts all of a sudden. Reduce it on a proportion that is acceptable for you and try eating less calories desserts (an apple instead of an apple pie with ice cream and whipped cream...). If you really don't have the choice, try to kill your between-the-meal hunger with fresh fruits and vegetables. Reaching for carrot sticks (not cream/sauce, please), an apple or a banana is fine. 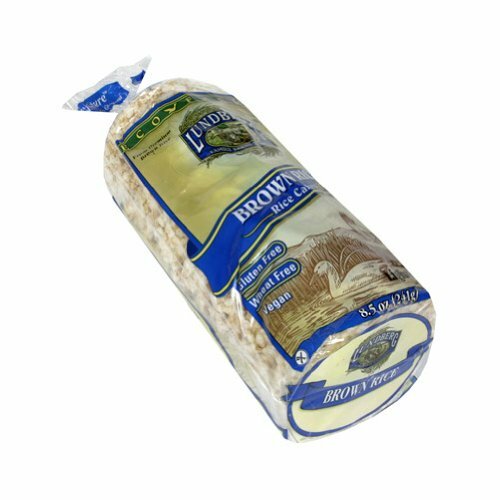 Rice cakes can also be a good alternative to classic potato chips but they are high in carbs and therefore don't fit every diet. If you are on a low-carb diet, these are not for you. Otherwise, as an alternative to cookies and other snacks, they are good (low calories, filling, ...). Everyday life is full of temptations. Fast food everywhere, people eating around you, stress, ... You need to be strong to maintain a high quality lifestyle. But remember that it is your health which is at stake! If the temptation is coming from your family and close friends, ask them to show some understanding and support. They need to understand that it does not help you if they eat big cakes in front of you all the time and that supporting you will help you a lot to achieve your goals. A nice series for inspiration and motivation, but a bit too focused on immediate results in my opinion. Don't be too harsh/severe with yourself. The aim is not to lose 50% of your weight in 5 weeks. The aim is to change your lifestyle so that you health is getting better. The simple fact you are stopping gaining weight is a victory. I hope this article helped you understand why diets in general fail and what you need to make yours succeed. Wish you the best with your life changing weight loss! My latest diet-related article: The One and Only One Real Key to Weight Loss Success. I agree. As for me, I simply eat less and reduce the amount of intake slowly. I only eat in small portions during meals and snacks. I also drink water so I can easily have a full stomach despite minimal food intake. Thanks for your comment, but you look very slim in your picture, do you need to be on a diet? My weight is actually ideal for my weight. But I'm used to dieting now so it had actually become a habit. That's exactly what I was trying to say in this article. Diets fail because they are not seen as habits or new ways of eating. Just a temporary programs to lose extra kilo. But your mindset is the correct one, you are used to your current "diet", it has become a habit so it is working properly. Well done! Sorry for the typo, should have said "my weight is ideal for my height and age." But thanks, hope it works for others too. There's not always a need for drastic measures. You can start slowly and get genuine results. Thanks for your comment! Interesting, hitting the nail on the head is also an idiom in English but I have never heard about it in French for example. When it comes to diets, I really believe reducing soda can help (happy it did for you) but I am a bit afraid about eating smaller portions. This may lead to people being hungry and reaching for snacks as soon as something emotional happens (too much stress, relationship problems, lack of sleep, ...). Thanks for the thumbs!